2006 2006 declared as the Year of Pushkin in Kazakhstan. 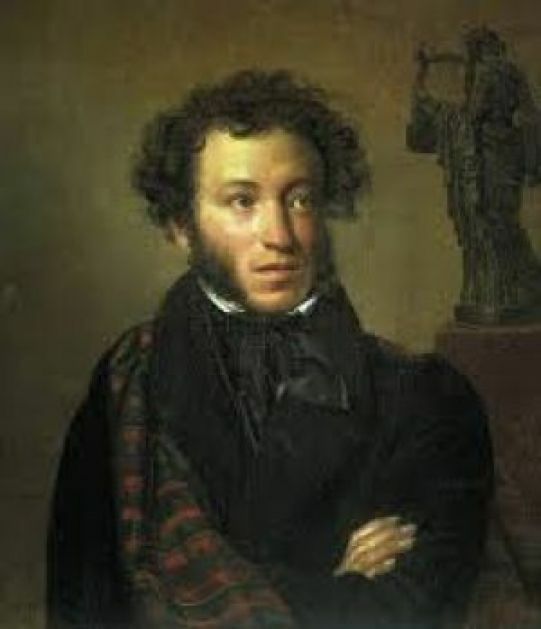 2006 declared as the Year of Pushkin in Kazakhstan. During the visit of Russian President Vladimir Putin to Kazakhstan, coincide with the inauguration ceremony of the President of Kazakhstan N. Nazarbayev in January of this year, the heads of our two countries reported joint decision to declare 2006 the year of Abai in Russia and Pushkin in Kazakhstan. Officially, about opening of the year Abai and Pushkin was announced during the official visit of N. Nazarbayev in Russia in April. At the ceremony of the opening of a monument to Abai on Clean Ponds in Moscow, the two presidents noted that this event will contribute to further close cultural rapprochement between the two fraternal peoples. Events dedicated to the year of Abay and Pushkin are conducted in two fraternal states in full swing. The visit of N. Nazarbayev itself was preceded by organizing exhibition of achievements of independent Kazakhstan in Moscow's Manezh dedicated to the celebration of Nauryz on March 24. During the celebration, organized by the active participation of the Ambassador of the Republic of Kazakhstan in Russia Mr. Zhanseit Tuymenbaeva was conducted rewarding the best Kazakh students studying in prestigious universities of Russia by "Bolashak" program. This event among other things was intended to demonstrate a lot of attention paid by the independent Kazakhstan for the training young state elite. At the same time, on March 23 the Days of Kazakh culture was opened in Omsk organized by the Kazakh regional national and cultural autonomy and the whole Kazakh education unions. It was only the first action in a series of events that take place in different regions of the two countries on the occasion, the Abay and Pushkin. In April, at Abay’s homeland in Semipalatinsk, was held the 4th International Festival of Russian Art, traditionally organized by Russian socio and cultural center with the support of the Russian Embassy in Kazakhstan, Semipalatinsk and akimat of Semipalatinsk State Pedagogical Institute. During three days, 58 creative teams showed their skills. 1,300 people from 21 cities of Russia and Kazakhstan came to participate in this spectacular event. In late May, also in Semipalatinsk, was opened an academic exhibition at the Museum of F. Dostoevsky, which presented unique materials of the life and work of two great poets of our nation. During the presentation of the exhibition took akyns (poets) contest, organized in the framework of the program “Cultural Heritage”.